After testimony from Gary Segura concluded on the eighth day of trial, AFER’s legal team bravely called to the stand Hak-Shing William Tam, one of the official Proponents of Prop. 8. Dr. Tam testified about the messages used to pass Prop. 8, and proved that the initiative was born out of animus. 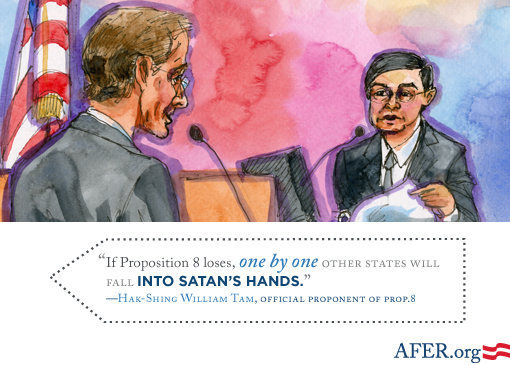 George Takei reenacted William Tam’s testimony during the Los Angeles premiere of “8” the play.